Is avg score the best determining factor when buying clubs? Thank you both for the feedback. I sincerely appreciate the clarity. In far fewer words, all I originally meant to convey was that after rededicating myself to the game after a long layoff, I don't feel like the beginner I'm describing myself as to the club fitters. One fitter seemed to ignore what I "should be" using and I liked what he set me up with whereas the other guy went along with everything I'd read on the internet in terms or recommending clubs based on my score. And after preferring the feeling of clubs I'm supposedly not qualified to play, I came here in search of answers. So I thank you again. I've got two more demo day fittings lined up in a couple weeks and after that I suspect I'll finally have a set of fitted clubs to call my own. Can't wait. I apologize in advance for the length of this post. The long of the short of it is I'm in the market for some new clubs and after a Callaway fitting event and trying out some clubs at my local golf shop and doing some research online, I'm in desperate need of some feedback. I'm sure topics like this have come up before and the simple answer is to go with what feels best but that's where I'm getting stuck. My average score says I'm a beginner. My ball striking says quite the opposite. What do I do? A little background.. I first had lessons when I was 6 or 7 and I only ever played with some old Golden Bear blades my grandpa cut down for me. (He was 6'7) I played a ton in the summers participating in camps, clinics and the occasional club junior tournament. I basically quit playing after my parents were divorced and my grandpa stopped playing. My dad hates golf and loves baseball so I swapped golf for baseball. From 13-30 I played maybe once or twice a year, if I played at all. Fast forward to about 4 years ago when my father-in-law loaned me a set of Taylormade Burner Bubble 2 irons. They were so much nicer than the clubs my grandpa gave me when I was a kid but they were too short (I'm 6'5). After using them for a few years swinging over the top of the ball a gazillion times and being told the clubs couldn't be extended because of the unique bubble shaft, my father-in-law took the TMs back and gave me a set of 2014 Ping Karsten irons he'd recently moved on from, which I've been using for the past 8 months. I had them extended and re-gripped but after thousands of swings with them, I just flat out don't like them. I hate how huge and chunky they look, I can barely discern the difference between a flush hit and a mishit and with only some 40 year old blades and the 20 year old TM's to compare to, I like the Karstens the least. Without wanting to seem ungrateful, I haven't mentioned my dislike for the irons to the only other person in my life who knows golf. So I found a Callaway fitting event at a local course and attended last week. To say my mind was blown would be a hell of an understatement. 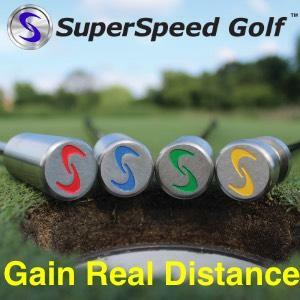 The only iron head the fitter had me try was the Apex.. which I thought was only for "better players," but after seeing my 7 iron carry distance increase from 160 to 200 yards and instantly straightening out the push I'd been battling, I didn't question the man. And then after a driver fitting and learning that my average swing speed was 116 mph and gaining almost 60 more yards of carry from 250 to 310 with an extra stiff shaft, I left the event wondering if I hadn't wasted my youth on the wrong sport. So, if you've made it this far, thank you for reading and here's my question. At what point is your average score the right or wrong determining factor for what irons you should be playing? If I was going completely off my average score, I should theoretically be playing SGI or GI irons. The Callaway fitter didn't even bother having me try an iron from that category. Should he have? Am I missing something? Was he only having me test the Apex because it's the most expensive? With my newfound knowledge of my swing stats I went to try some other brands at the local golf shop, but after hitting off mats into a net vs grass at the range the day before, nothing felt as good as the Apex, including the Apex I asked to try after the golf shop guy had me hitting a Rogue, 716 AP1, a TM M6, and a Mizuno Hot Metal 9whatever. I'm trying to line up a Titleist fitting event and a Taylormade one but I can't help wonder if I go into those if I should be requesting to try "better player irons" even though I'm clearly not a better player based on my scores with a set of clubs that obviously don't fit me in the slightest. So again, if you've read this far, thank you for your patience and I'd sincerely appreciate some feedback. Thank you. *** I tried posting this before but can't seem to find it anywhere. If this is a duplicate though, I apologize.